Some of the most memorable and influential comic books of my youth were bought during my childhood trips to Italy. 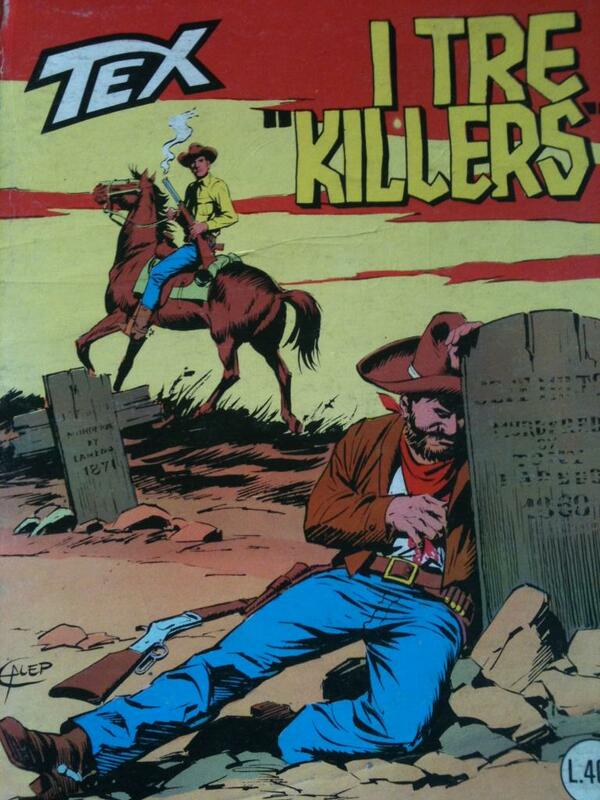 I’m fortunate enough to return to Italy every couple of years for a vacation and each trip to a newsstand in Rome or the countryside brings back memories of me and my brother plunking down a few hundred lire (courtesy of my father) here and there on a copy of Sergio Bonelli’s classic long running Western comic book Tex. One thing I’ve always enjoyed about Tex is regardless of which decade I was buying the black and white digest, the art and writing has always been consistent, which is refreshing to see compared to books and characters that go through radical changes just to drum up sales. Tex is a testament to how a publisher respects its characters and more importantly, its loyal fan base. But our favorite Italian comic books were the super eroi, particularly L’Uomo Ragno and I Fantastici Quattro, who were none other than Spider-Man and The Fantastic Four! Sure, we had been reading Spidey and FF prior to our first trips to Italy, but the Italian reprints we read in the late 70s were from Marvel stories originally published ten to fifteen years earlier and gave us our first exposure to the Silver Age artwork of Steve Ditko and Jack Kirby. Lucky for us, the Silver Age was in full swing in late 1970’s Italy. The Italian language seemed to add more drama and gravity to the dialogue, and the characters names even sounded cool when they were translated into Italian. Dr. Doom was Dottore Destino! The Thing was La Cosa! The Human Torch was Torcia Umana! The Eternals were Gli Eterni. I wasn’t able to read Italian very well back then, but it didn’t matter because the clarity of the storytelling in Kirby and Ditko’s artwork allowed me to follow the stories without relying as much on the dialogue. I wish I still had those old comic books. I see a few issues of L’Uomo Ragno in eBay once in awhile, but I can’t afford the prices listed. On my recent trip to Italy I was happy to still see Tex at all of the newsstands. But when I stopped in a Hudson News in Milan’s Malpensa airport, I was even happier to see my old Silver Age Marvel favorites in the Italian language Marvel Masterworks. Like 35 years ago, I was reading classic Lee and Kirby stories with Italian word balloons. And a new generation of Italian comic book fans could now appreciate the art of Ditko’s L’Uomo Ragno, Kirby and Colletta’s Thor, and be blown away by La Visione on the cover of I Vindicatori (The Avengers). We’re officially at the halfway point of the Captain America Project! To call this a passion project is an understatement. It’s been almost two years since I commissioned the first Captain America sketch for this jam page, and I’ve enjoyed it every step of the way. I’ve had more than a few folks I’ve met at the comic cons say “Are you still lugging that thing around?” Yep, until it’s finished! I won’t give away how many panels I have to go, but it’s almost complete. In the meantime, I hope you’ll enjoy the updates! Steve Epting was the second artist I approached at the 2010 New York Comic Con at the Javitz Center. As a fan of his run on Captain America, he was one of the artists I needed to get a sketch from for this page. His commission list was full by the time I made it to his table but since the panel was smaller than a baseball card, he said he would try to fit it in later in the show. Needless to say, it was worth the wait!